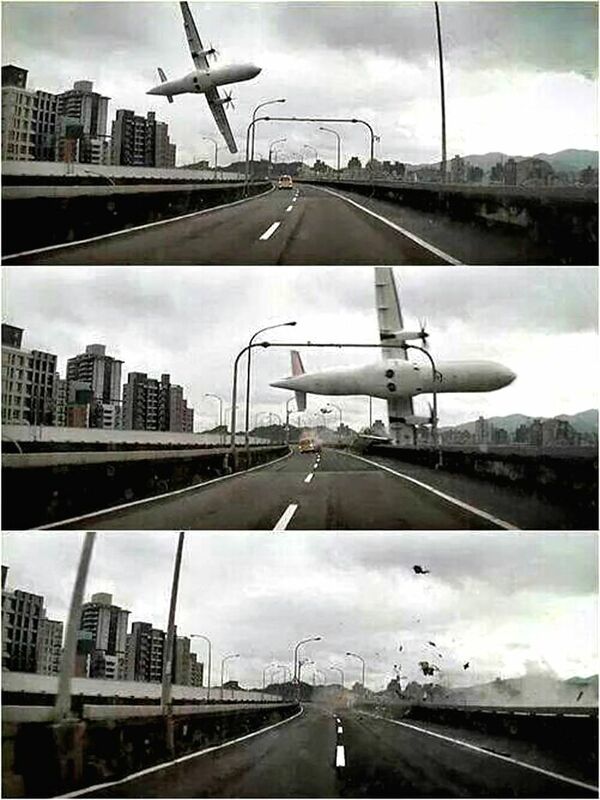 TAIPEI, Feb. 4, 2015 - Combined photos taken by an automobile data recorder shows an airplane crashes over a bridge in Taipei, southeast China's Taiwan, Feb. 4, 2015. 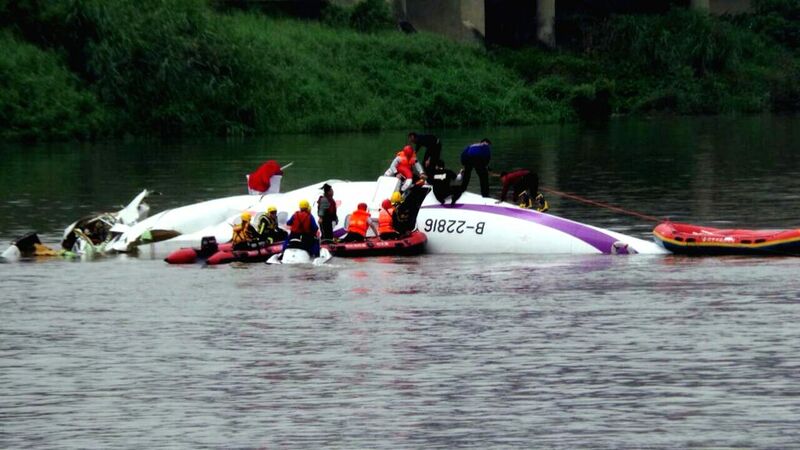 A plane of the Taiwan TransAsia Airways came down into a Taipei river Wednesday, with more than 50 people on board, confirmed the civil aviation authorities of Taiwan. Contact with the ATR-72 Flight, scheduled from Taipei to Kinmen, lost at about 11 a.m. Then the plane was found in the river by the Nanhu Bridge. Rescuers work at the site of the plane accident in Taipei, southeast China's Taiwan, Feb. 4, 2015. Rescuers transfer an injured passenger from a crashed plane in Taipei, southeast China's Taiwan, Feb. 4, 2015. 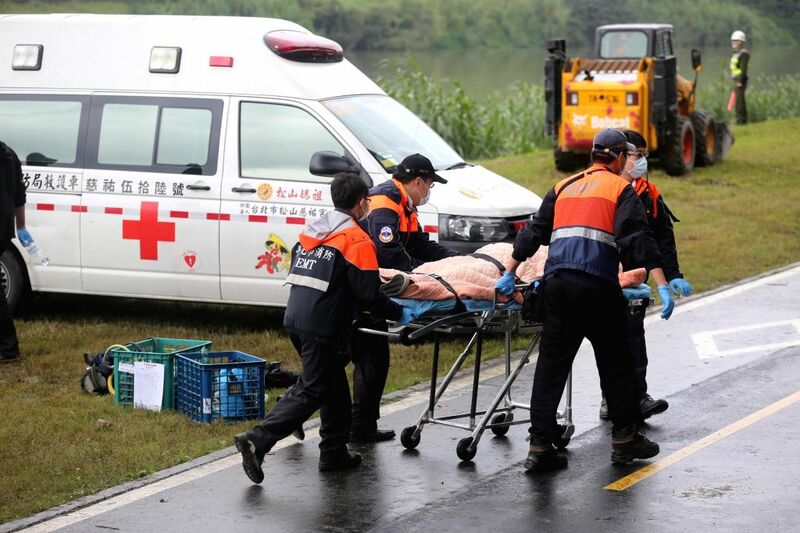 A Taiwan TransAsia Airways plane crashed into a Taipei river on Wednesday morning, killing at least 12 people. Flight ATR-72, which was headed for Kinmen from Taipei, had 58 people on board, including 31 passengers from the Chinese mainland. It crash landed in the Keelung River after it clipped an elevated motorway with its wing.